"Plastic Pollution is a problem I want to help solve because I care about all the animals who live in the ocean!" --- Addyson, 8 yrs. Addy wants to INVITE all K-College students, parents, teachers, community members, individuals and organizations to JOIN HER IN ACTIVATING THE FOLLOWING initiatives against PLASTIC POLLUTION! Addyson cares about Plastic Pollution and she wants you to care too! Addy's HELPERS are assisting her participate as a steward in age appropriate ways, using the ©AP Fundamentals for Young Stewards TOOL & an ©AP Solver6 experience! She is a 5 Gyres Ambassador and the FIRST FEATURED AP Young Steward, both platforms allowing her to learn & participate as she grows into her stewardship responsibilities! DOWNLOAD Addyson's FLYER TO ACTIVATE TOOL to help you lead others to her Activation Page! Addy wants you to use email, instead of printing, to distribute this tool when you can! ACTIVATE INITIATIVE #1 for All Ages: LEARN MORE & BECOME AN AMBASSADOR TOO! Addyson is a 5 Gyres Ambassador. This great program and organization work to put science into action! Learn more by visiting the 5 Gyres Institute Website. As an ambassador Addyson is learning about sustainable solutions that are available to replace one use plastic packaging. She urges others, like her, to REFUSE plastic packaging and utensils when out with her family. She also uses the opportunity to talk to managers about replacing one use plastic. Addyson is always kind and polite when she makes these requests and hopes others will do the same! She hopes more business' will work to reduce their footprint and recommends corporations call her friend, Lia at Plastic Pollution Solutions to help their success! Addy says, "don't just do it for us, do it for the animals." FOR EDUCATORS & MENTORS: Please see the bottom of the page to request the Plastic Pollution ©Solver6 with more ACTIVITIES & Classroom impact opportunities (including a link to 5Gyres Curriculum). JOIN THE TRASH BLITZ CHALLENGE: This L.A. based pilot, powered by 5 Gyres, will use the TrashBlitz web app to collect data on litter and single-use plastic items. This data will give city lawmakers and citizens a better picture of the plastic pollution entering LA waterways and soon be available in your city too! VISIT MICRO-SITE & SIGN UP NOW! ACTIVATE INITIATIVE #2 for Middle School Age+: HOST A FILM & FRIENDS NIGHT WITH 5 GYRES! Addyson wants you to know that WASTE MANAGEMENT, CONSUMER LIFESTYLE & CORPORATE RESPONSIBILITY are all contributing to the plastic pollution crisis. Regenerating the health of our marine habitats is essential to our human existence. 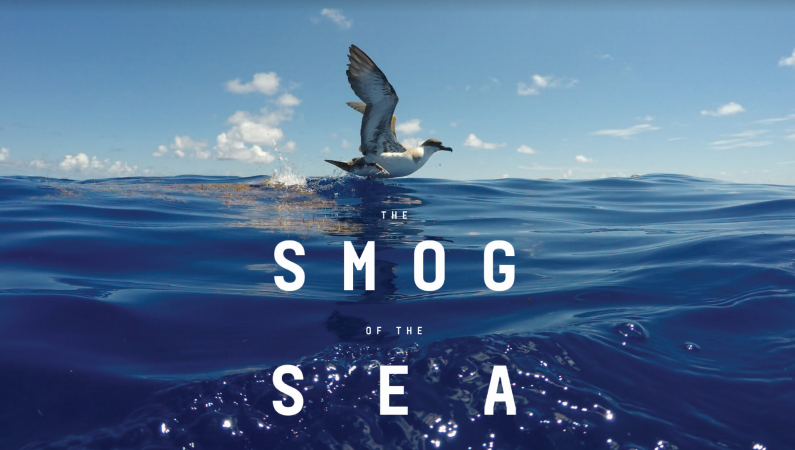 Microplastics are wreaking havoc on an ecosystem that is dependent on phytoplankton... these little organisms produce 70% of our Earth's oxygen AND SEQUESTER 40% of our carbon. Addy ART: Addyson likes to do art while she watches documentaries on Plastic Pollution. She wants you to DOWNLOAD her AP STEWARD'S ART Project for your K-6 young stewards! WATCH THIS Kid friendly awareness video to learn more about this global crisis: Home to Ocean Summit: Plastic Knows No Borders. ACTIVATE INITIATIVE #3 for All Ages: USE Addy's TOOLS to impact CLEAN UP EFFORTS and INSPIRE LOCAL RESTAURANTS to go #PlasticFree! 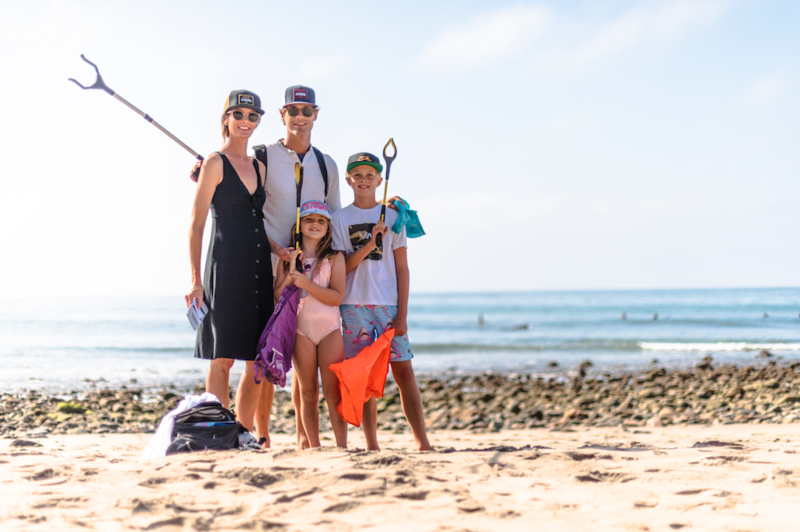 Addyson participates in beach clean up efforts with her family and the amazing Surfrider Foundation. 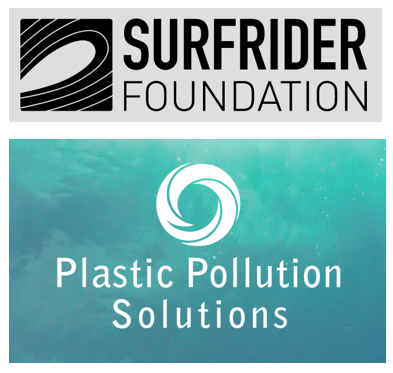 If Surfrider is out of your neck of the woods, contact them and they can help you start a chapter!! Young stewards can create any simple playground, park, neighborhood or other community clean up effort with their adult helpers. It doesn't matter if your effort is 1 or 100, it's all movement in the right direction! You can also sign up for Surfrider clean ups from the link below and use Addy's letter tool to make the experience more impactful, for you or your group! Addy urges you to learn more about SINGLE USE plastic, recycling myths and realities from the science provided by 5Gyres: Read more. DOWNLOAD Addyson's "SEND IT BACK" Letter TOOL to SEND A PIECE (or several) of plastic packaging, product or other waste BACK TO THE MANUFACTURER (Addy's tool makes this a sustainable solution by introducing the corporation to Plastic Pollution Solutions who will help them reduce their plastic footprint!). SIGN UP for a Surfrider Cleanup or event: sign up to volunteer for a Surfrider clean up or other event. Be sure to use Addy's Letter Tool to send back what you find! Introduce Surfrider's Ocean Friendly Restaurant Guide TO YOUR LOCAL RESTAURANTS with Addyson's Ocean Friendly Restaurant Activation Introduction TOOL, inspiring your local restaurants to successfully go #PlasticFree ! ACTIVATE INITIATIVE #4 for All Ages: BE A CIVIC LEADER FOR PLASTIC POLLUTION WITH THESE LETTER & ACTION TOOLS. Addyson wants to inspire you to learn more about how laws, leadership & lifestyle can help solve plastic pollution, these tools will help you participate as you grow into your stewardship responsibilities! Addy invites you to check out this LA Times article by Annie Leonard & Martin Bourque: Berkley Isn't Just Attacking Plastic Waste, It's Rejecting Our Entire Throw Away Culture. Then, as a teacher, parent or other helper, have a conversation with your young steward(s) about the impact of policy and how adult choices are heard through voting. Use Addyson's letter & script tools to help young stewards share their voices & thoughts with leaders! Addy asks adult helpers to consider taking their young steward(s) to visit local city or state leaders office's. They can even share their thoughts on plastic pollution while there, then use the letter tool as a follow up! USE Addy's "CHANGE IT UP" Letter TOOL to CONNECT with your LOCAL and STATE LEADERSHIP on Plastic Pollution Policies that can change our world! Adult Mentors can help young stewards look up laws and current events related to the plastic pollution crisis to learn more. Then use this letter tool to offer support or thoughts! Be A LEADER for WASTE MANAGEMENT when you USE Addy's PLEDGE to go Plastic Free SCRIPT TOOL to approach your principal, PTA and student leadership for HELP enact a PLASTIC FREE PLEDGE WEEK (and waste system) on your school campus. When you present with this tool, also use the Waste Management VIDEO: Waste Sorting in Palo Alto Schools, which offers solutions you can enact on your campus with student helpers, this becomes a sustainable solution if your week turns into a program! 5 Gyres Ambassador, Addyson asks you to REFUSE the top 5 sources of single use plastic on your campus and at home: bags, straws, WATER BOTTLES and to-go containers & cups. As an ADULT HELPER, assist young stewards to learn from your ACTION, when you CONTACT Leadership about important topics from the Surfrider Action Alert Center Page. Addyson wants you to know that RECYCLING plastic waste is not a sustainable solution, and only 9% of all the plastic produced since the 1950's has been recycled (or incinerated, which causes carbon emissions)! The rest is still being pushed around the planet causing plastic pollution. This plastic pollution isn't a simple clean up effort, because plastic waste breaks down into small pieces that pollute more like a smog than an easy "scoop-able" clean up. Addyson hopes you'll learn more about your own local waste management system, proper waste sorting & COMPOSTING and how you and your family, class, community or organization can make an impact by properly sorting your waste and prompting leadership to enact community based solutions! 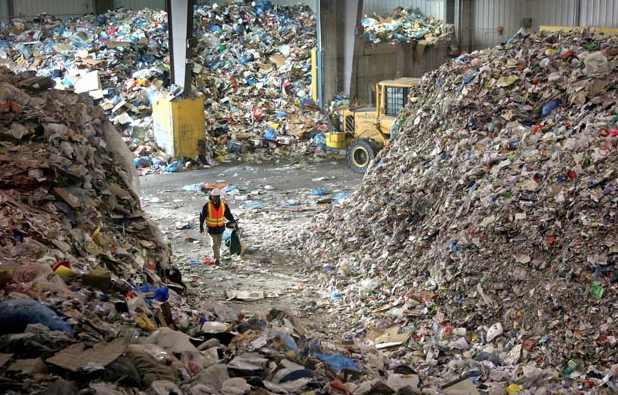 Visit this Waste Management Site to learn more, AS A FAMILY, CLASS, ORGANIZATION or COMPANY, about proper sorting practice from a RECYCLING perspective. BUT REMEMBER, recycling ISN'T a sustainable solution for plastic pollution, although sorting is important because we have so much plastic already here. REFUSING PLASTIC and moving toward REPLACING it is the more sustainable solution. REDUCE YOUR WASTE at School & Home through LUNCH TIME! READ our AddyPresLifeSTYLE article: Solutions for Eco-Friendly Lunches, partnered with Addy's #4 initiative TOOL:Plastic Free Pledge Script to leadership to approach your school leadership to activate a zero waste lunch system at your school! DOWNLOAD Addyson's Waste Management THANK YOU LETTER TOOL and SEND IT to say "thank you" to your local waste management workers, who sort through all the waste we wave goodbye to on trash day! Addyson and her Girl Scout Troop, 65505 ACTIVATED THIS CORPORATE RESPONSIBILITY PROGRAM on their school campus, and think you should too! Corporate Responsibility programs are so important for the effective clean up of plastic pollution. These programs are enacted by corporations who care about cleaning up their mess, while they they work to improve their plastic footprint. 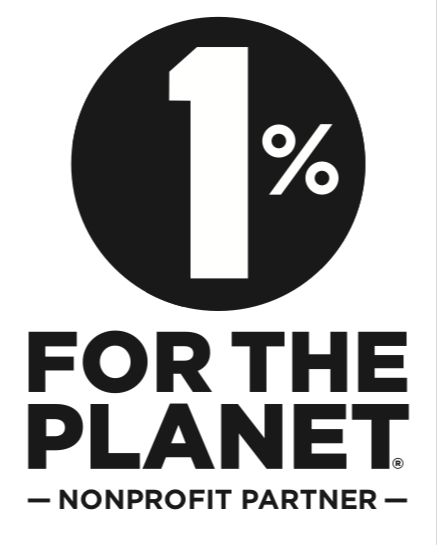 Many corporate responsibility programs require consumer participation to keep waste out our overflowing landfills and ocean habitats, so PLEASE PARTICIPATE IN THEM... AND you can recommend any corporation to call Lia at Plastic Pollution Solutions, she can help them reduce their corporate footprint! *To make this initiative a sustainable solution (continuing the Color Cycle program once it's enacted) you'll need to designate a school level student team to manage a regular collection (perhaps monthly) of the items, then download & print shipping labels (provided by Crayola) and send these items back. USE Addyson's GIRL SCOUT TROOP 65505's SCRIPTS to ACTIVATE this program on your K-12 school campus (edit based on your age). Use the Crayola Activation SCRIPT TO ADULTS to inspire your Teachers & PTA (at a school site council meeting) then use the Crayola Activation SCRIPT TO KIDS to inspire your student body to participate (at an assembly), just like Addyson & her troop did! 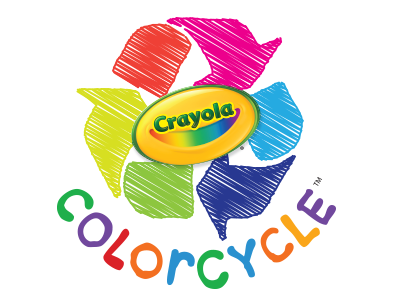 You'll need the Crayola Color Cycle Directive to kick off this SUPER SIMPLE program on your school or in your community! Outreach is key for sustainable solutions! When you activate stewardship using Addyson's TOOLS & HELPERS, SHARE YOUR EXPERIENCE and be sure you TAG @AddyPresLFstyle #AddyPresInspires! Our young stewards like to know they're changing the world! I'm activating sustainable solutions for PEOPLE & PLANET with AP Young Steward Addyson, AGE 8! JOIN me in utilizing this Young Steward's TOOLS to activate more HELPERS by visiting AddyPresLifeSTYLE's ACTIVATE WITH A YOUNG STEWARD Communities Page and linking to her bio to activate solutions in your community too! Addyson utilizes this AP Young Steward Activation Page to inspire college age mentors, educators, schools, organizations, individuals and others to participate & activate sustainable solutions! Her Girl Scout troop has been some of the most active first helpers as more start to discover how impactful these TOOLS & HELPERS can be for a better world. AND For K-12 EDUCATORS & MENTORS: After you mentor your students to activate Addy's initiatives you can offer them the opportunity to BECOME A FEATURED ©AP YOUNG STEWARD with initiatives of their own, just like Addyson! Our ©Solver6 Activation Framework is offered to our recipient educators within the ©AP Create a Solver6 Program, with sponsor opportunities that allow educator members to connect with 1% for the Planet alliances and create high level K-12 curriculum & stewardship programs. Your Standout Stewards from this program gain the opportunity to be featured here to activate others with their initiatives for a BETTER WORLD, gaining our support for their outreach! 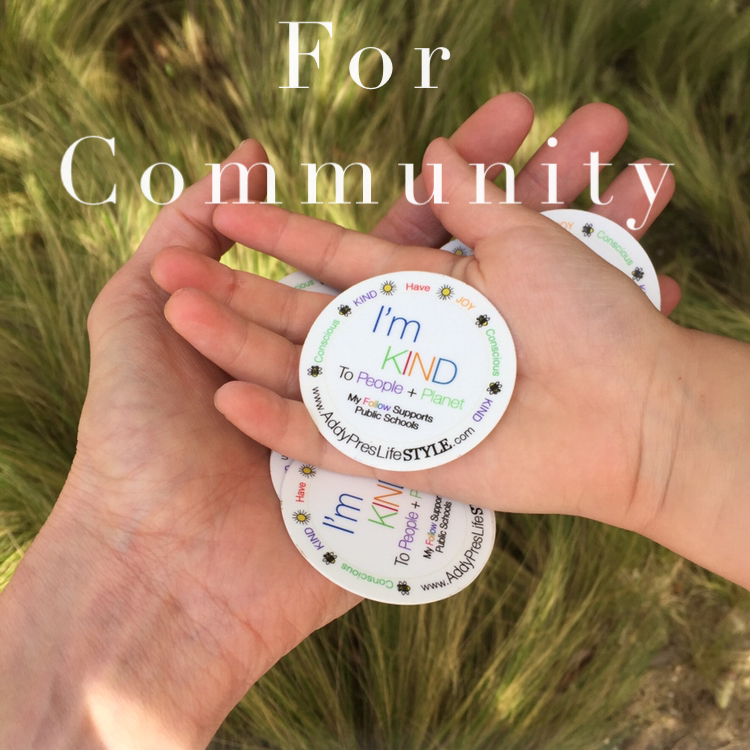 Learn more about the KIND IDEAS GIVE Program and gain these full access opportunities for your K-12 young stewards! Addyson will be 28, how old will your children or young students be, and what do you want to hand them?